We have been running as a camera club for over 10 years. 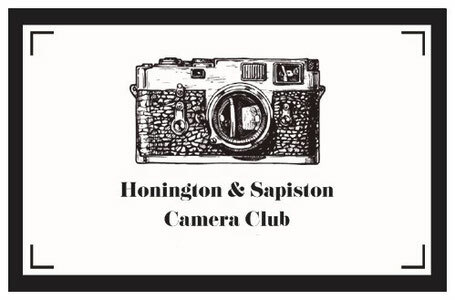 Originally established by a very keen photographer based at RAF Honington, the club has evolved over the years from a very small core group to today's very well supported village club and social group. We meet on the third Tuesday of each month through the year at Honington and Sapiston's fabulous village hall from 7pm till 9pm. The club has recently managed to purchase a high quality digital projector with grants from Suffolk County Council supported by Councillors Joanna Spicer and Andrew Smith along with generous club member support. This acquisition has transformed our image viewing and greatly enthused members to get out and about with their cameras and phones. If you have an interest in photography and meeting a great mix of enthusiastic like minded people,then please come along to one of our meetings and see what we get up to. It should be emphasised that all abilities and age groups are welcomed. We do not take ourselves (too) seriously-it is after all a hobby that we should enjoy and learn from. In addition we are planning practical events and outings with our cameras. All images are the copyright of the individual photographer . Downloading images is strictly forbidden.